If you have been to your McComb/Bruchs Performing Arts Center in the past, you know the high quality of entertainment we bring in every single season! In the past, we have presented national and international acts like Larry Gatlin, from The Gatlin Brothers, Marty Stuart, Al Stewart, The Celtic Tenors, Firefall, The Grass Roots, just to name a few. The 2018-2019 season is no different, with national and international acts like, The Bellamy Brothers, Pure Prairie League, The Vogues, The High Kings, to name a few. Our box office is open, 10 AM to 2 PM, every Monday during the month of August, due to the high demand for tickets and dinner packages! Our season opens up on Saturday September 15th with the American pop and country group, The Bellamy Brothers, at 7:00 PM. You won’t want to miss hearing brothers, David and Howard, sing their hits such as “Let Your Love Flow,” “Old Hippie,” “Hey Baby,” “I Need More of You,” and more, along with their incredible stories relating to their 40 plus year career. Seats are going fast for Pure Prairie League on Saturday October 13th at 7:00 PM, The Vogues on Saturday November 10th at 7:00 PM, “It’s A Wonderful Life” on Saturday December 1st at 2:00 PM, Ryan & Ryan on Saturday February 9th at 7:00 PM, The High Kings on Friday March 15th at 7:00 PM, Four Guyz in Dinner Jackets on Saturday April 6th at 7:00 PM and The Mersey Beatles on Saturday May 4th at 7:00 PM. 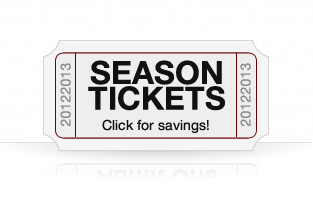 You still have time to purchase your Season Tickets that gives you a savings of $57.40, or you can receive a 10% discount on the purchase of a “Four or more” package for the 2018-2019 season. Tickets for all of our 2018-2019 shows are on sale. The box office is open, 10:00 AM to 2:00 PM, every Monday during the month of August. Tickets may be ordered by phone at (920) 787-2189, or toll-free at (888) 987-2189 or you can order tickets through our website. Visa, MasterCard and Discover are accepted. Group and student discounts are available. Go “like” us on Facebook by searching “McComb Bruchs Performing Arts Center,” and follow us on Instagram by searching “@mccombbruchspac“.